He’s one of the most beloved characters in comics. Since 1963, we’ve loved Spider-Man. Whether it be because he’s “just like us with ordinary personal and familial problems”, or just because he can stick to walls and spin webs, ol’ webhead makes us all weak in the knees when it comes to nostalgia. Another feature film iteration arrives, this time, courtesy of the juggernaut (ha) Marvel Comics Universe (MCU) which offers a familiar but clearly different flavor for all movie-goers – fanboys or not. The fact is though – this is not your friendly neighborhood Spider-Man’s first rodeo. 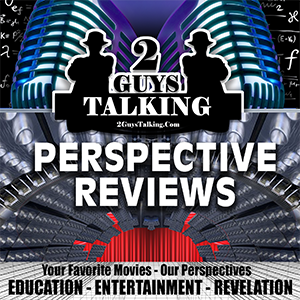 There have been other iterations that provide LOTS of perspective, value and laughs that The 2GuysTalking Podcast Network has been proud to collect, showcase and share with audiences worldwide. Below are the links to all of our programs available as well as links to ones we haven’t ye– well – that we have no real interest to get to. Are YOU a fan of the Perspective Reviews we’ve missed so far? Be sure to tell us all about what you think, and with your interest, we’ll consider putting the rest of the Spider-Man cinematic rabble into the Perspective Review crosshairs. Enjoy the programs provided below and be sure to tell us what you think! — A Call for Input: We’re not above returning to the land of Spider-Man to finish the series but – we have to hear from YOU to do it! Tell us about your interest in the not-yet-reviewed Spider-Man-based films and we’ll get our red and blue review tights on and capture opinion until we win MaryJane’s heart (or not)! Fill out the form here and make your voice count! 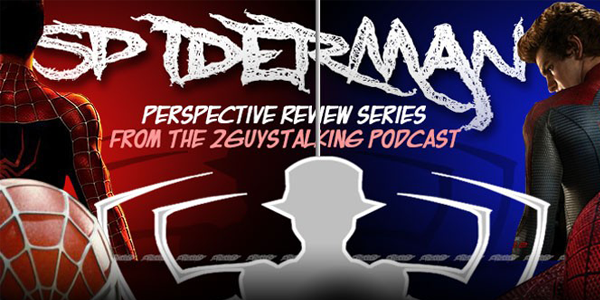 — Our Review of Spider-Man (2002) – Listen to It Now! — Our Review of Spider-Man 3 (2002) – Listen to It Now! — Click Here to Buy This Soundtrack Now!